Our spring has been a bit of a rollercoaster so far – snow one week, 75F degrees the next. Despite an occasional heat streak, an average day remains chilly, though. And even when the sun is out and you are lucky enough to catch some of its warmth, the air still carries the crispiness of an early morning, burning your air passages with coldness when you breath too much of it in. 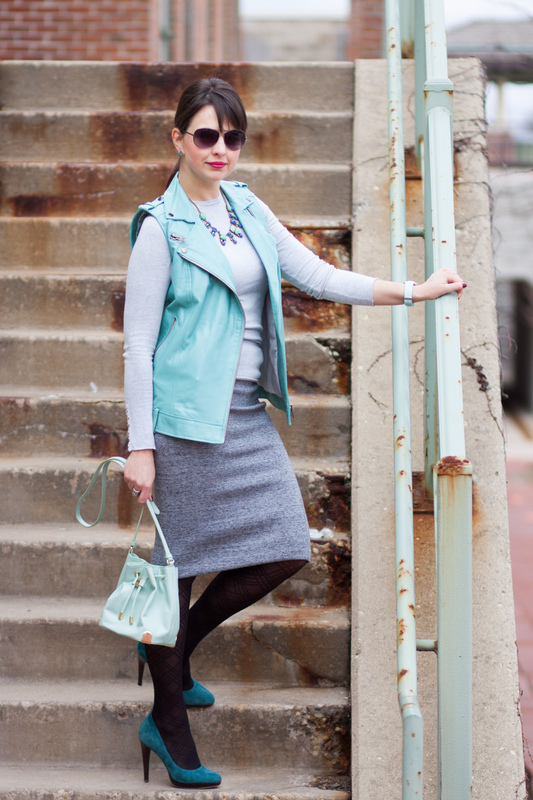 At the risk of sounding like a broken record, I would say it again – layering is key! 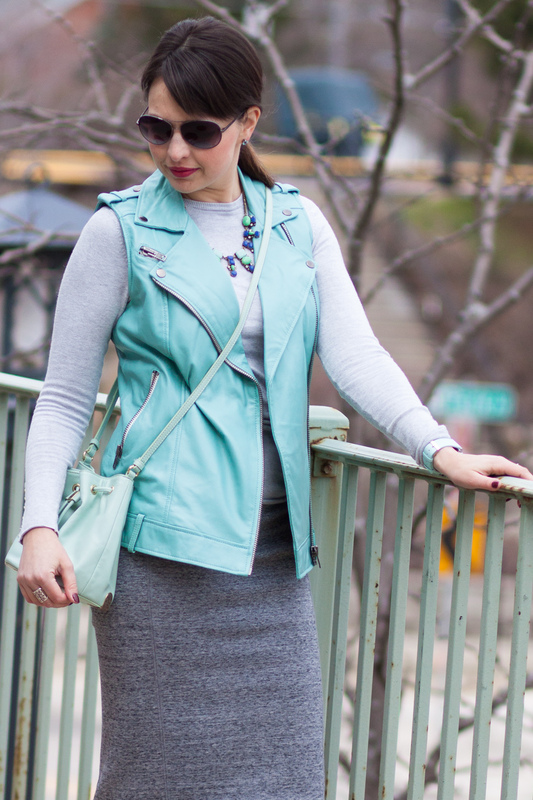 A vest is an all-time favorite go-to outer layer of mine when it comes to a warmer but not quite warm weather. 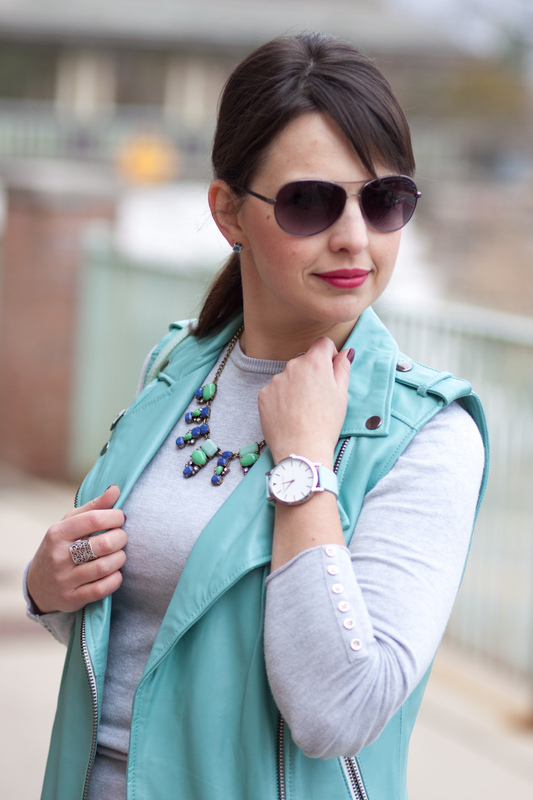 This particular vest grabbed my attention the moment I saw it online. 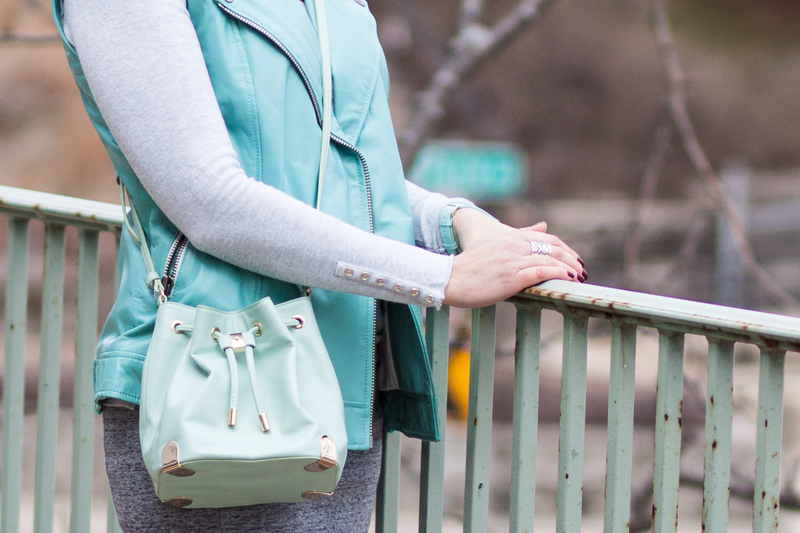 I like how the traditional edginess of a leather moto jacket is offset by a femininity of an almost pastel color. And the quality of real leather is superb! Now, I can see a lot of you starting to imagine a crazy price tag, which an original $295 would certainly qualify for. But I am a bargain shopper after all… So check out the link below for a REALLY nice surprise, but be aware that size selection is already limited. I’m a bargain shopper too, girl! Definitely pleasantly surprised by the price tag of this leather jacket. And mint is my favorite! I just love this look! So sofisticated yet not presumptious. lovely post .. amazing work..! !